The Shop in San Bruno was started in 2005, by owner Matthel Ma. He attended San Jose State University to obtain a Business Management degree. In a twist of fate, he missed many of his classes due to a bout of food poisoning and a surgery infection. This caused him to fail his courses. He was forced to completely abandon that degree and switch gears. 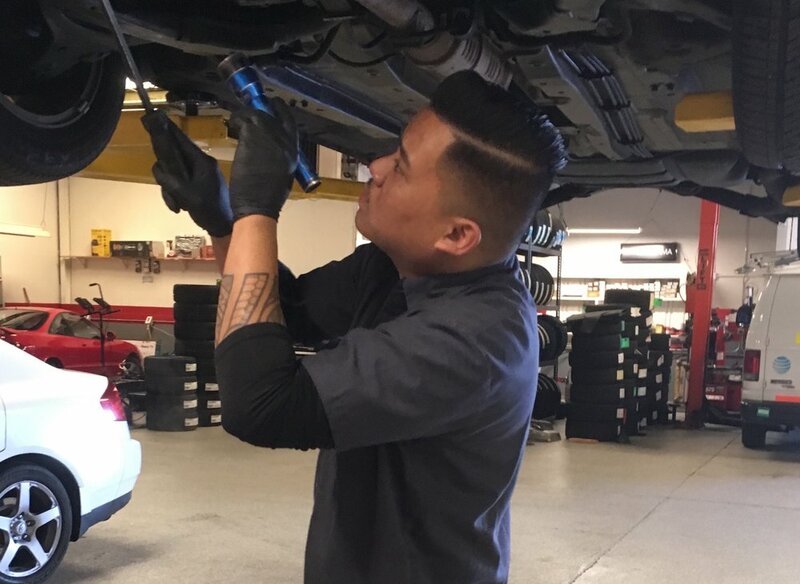 He then went on to pursue the T-Ten automotive program in Skyline college in '01 and four years later, he opened up The Shop in San Bruno. It is currently going on the 11th year of business. The Shop specializes in Japanese and European performance and maintenance. We do general auto repairs to aftermarket performance as well as tires/alignments. The Shop works with OEM and aftermarket companies to bring you what you want at reasonable prices. "Cars, guns, off roading, exploring new places, investing, Craigslisting, and umm... eating." "Cars, eating, sleeping... those are fun things to do... motorcycles and cars." Skyline college auto program graduate.
" Eating, cooking, taking vacations, selling insurance." "Spending time with family, jet skiing, fixing anything around the house because I am a hands on kind of guy. "